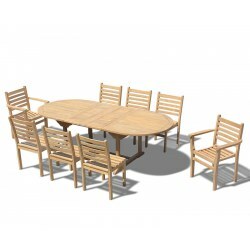 This 8 seater extending dining set with stacking armchairs and side chairs is perfect for alfresco breakfasts on mild mornings and sizzling summer barbecues with your friends and family. 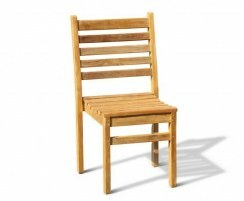 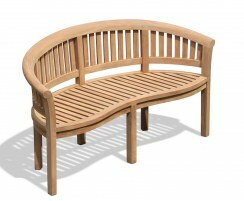 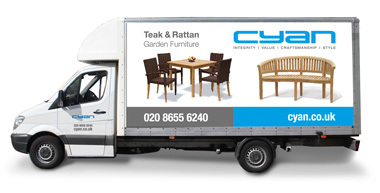 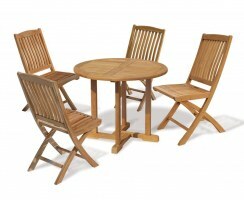 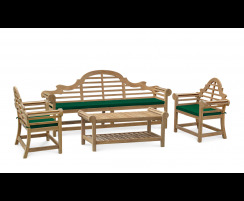 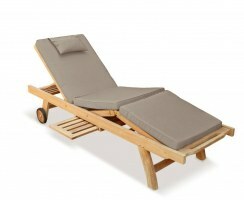 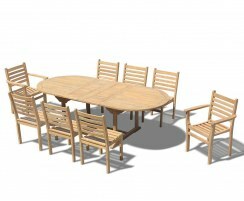 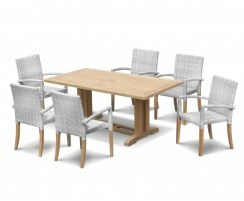 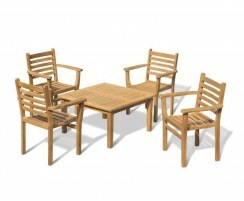 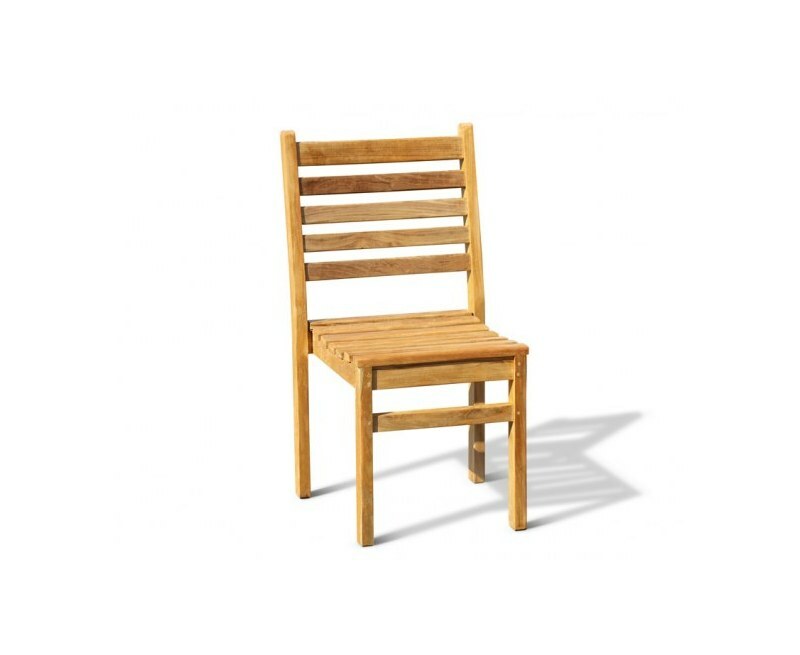 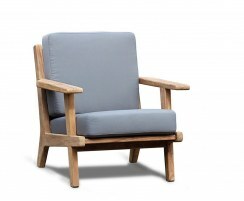 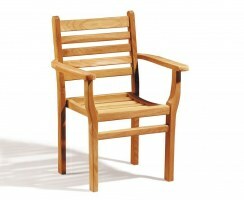 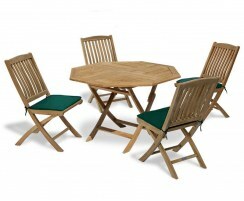 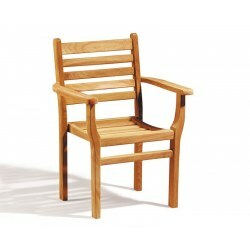 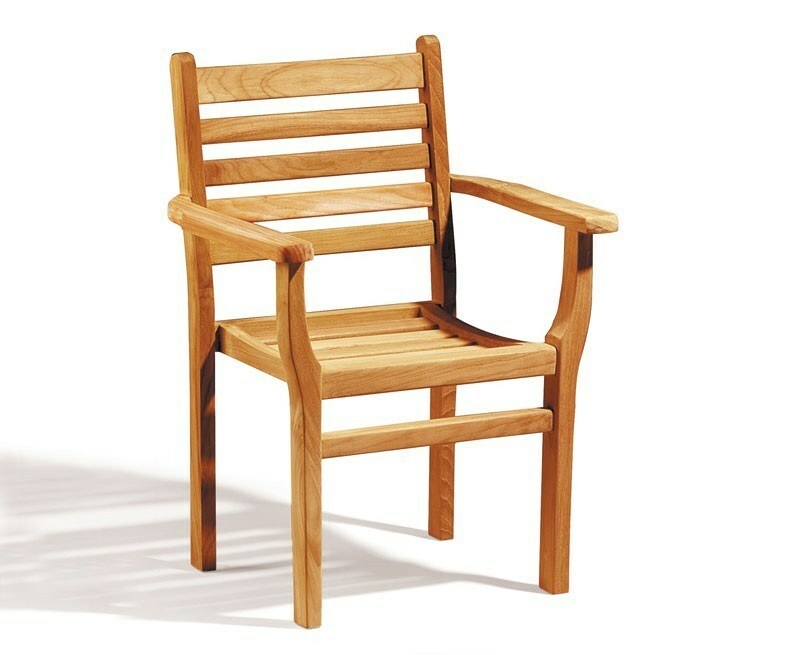 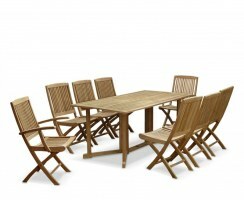 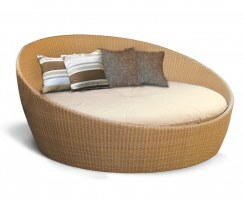 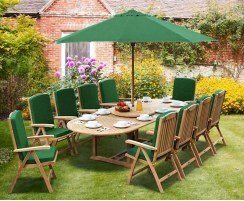 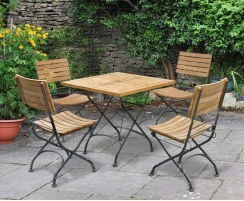 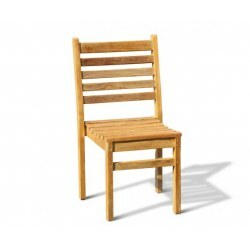 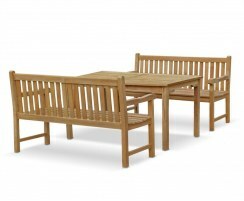 Robustly crafted from the finest grade-A teak, this practical 8 seater extending patio dining set can remain outdoors all year round in all weather. 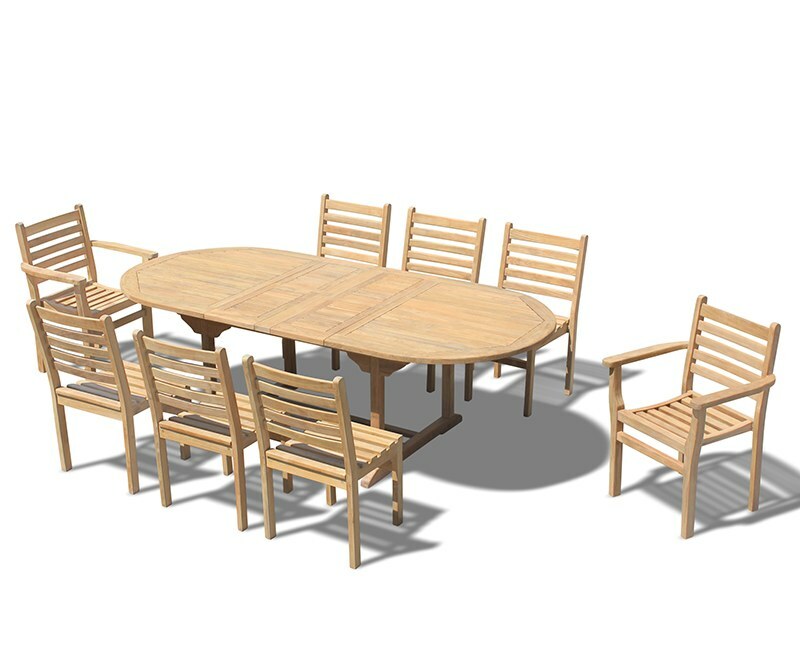 Requiring minimal maintenance, you can get the most from your dining set for decades to come, representing fantastic value for money. 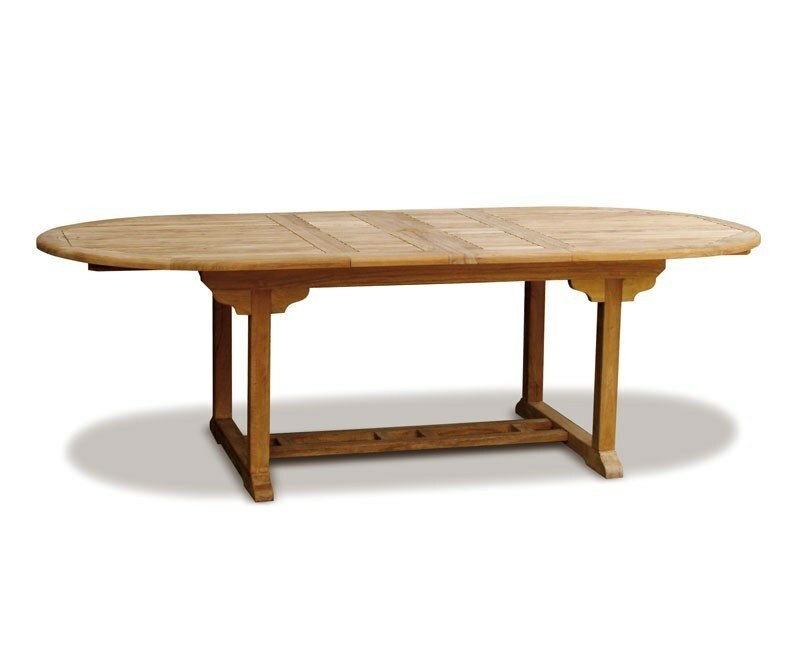 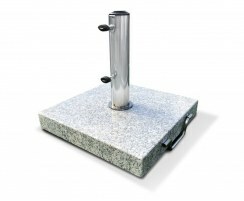 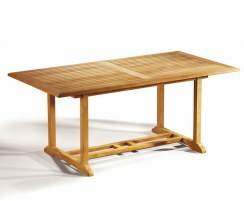 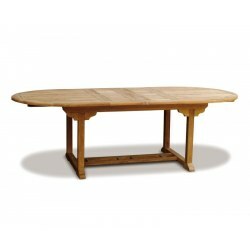 The table extends by way of a double-leaf butterfly extension which is neatly stowed under the table top when not in use. 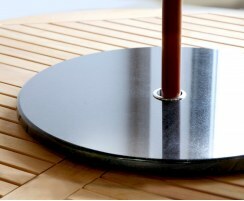 The table has been pre-drilled for a parasol when it is in the extended position, and is supplied with a flush-fitting teak plug for when a parasol is not required.